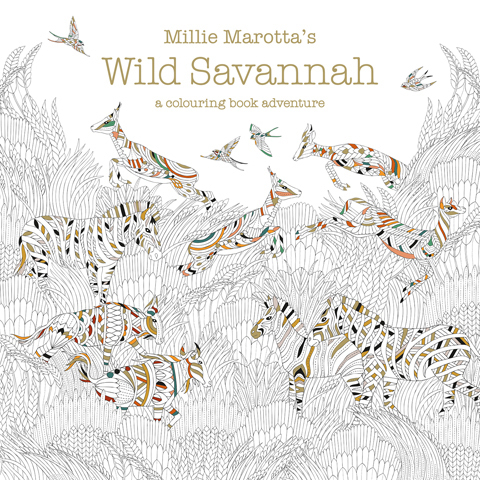 Cult colouring book author Millie Marotta released her much anticipated third book Wild Savannah this February, which follows previous books Animal Kingdom and Tropical Wonderland. 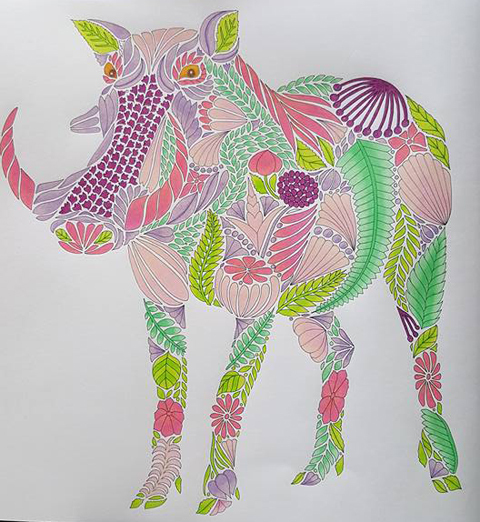 Wild Savannah has been met with rapturous enthusiasm from the colouring community. 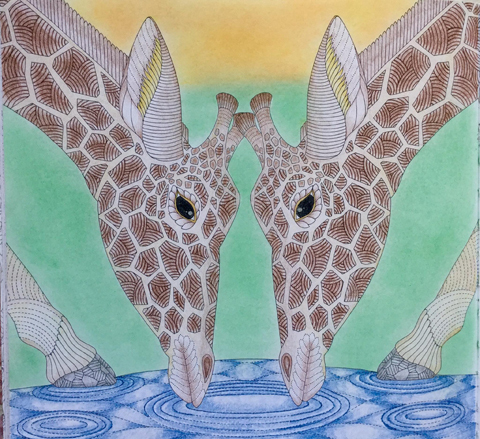 As in Millie’s previous offerings, Wild Savannah features a plethora of gloriously intricate pages animals from Savannah areas across the world. 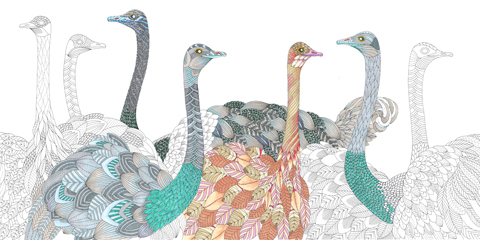 Anyone who has enjoyed Millie’s previous books will be familiar with her style, which cleverly combines stylistic pattern and realistic animal silhouettes in a style that is oft imitated but never bettered, and I’ve seen some absolutely stunning interpretations from colourists, some of which you can find smattered throughout this exclusive interview. Enjoy! How old were you when you began to draw, and what were your first drawings about? I don’t honestly know what age I was when I began to draw. I can’t recall a specific time when I became interested in it, I think it was just more of a case of drawing being something I always gravitated towards from a very early age. Some of my earliest memories are of sitting in my room drawing pictures of our pets. I grew up in the countryside and had a pretty ‘free-range’ childhood, surrounded by animals, which obviously made quite an impact on me and what I liked to draw. 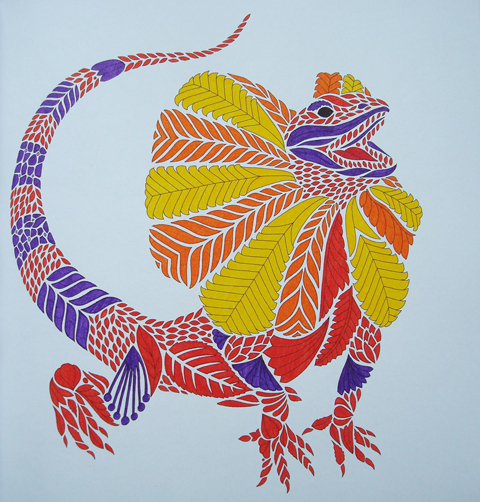 Where and how did you evolve your distinctive style of illustration? 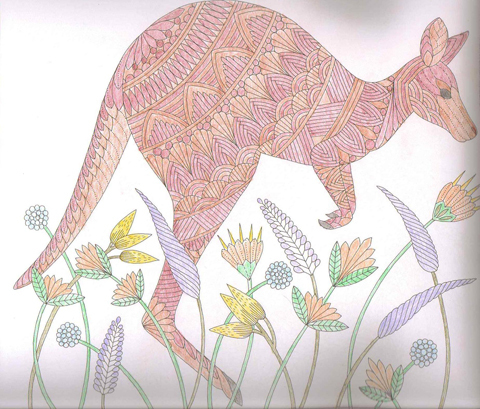 It wasn’t really until I left my teaching job and allowed myself a bit of time to experiment with my own artwork that my style really began to emerge. I think it’s easy to get caught in that trap of looking around at what other illustrators are doing and wondering whether you should be working in this style or that style, looking at what’s popular or fashionable at the time. But I think it’s crucial to work in a style which comes naturally and is honest and personal. I’ve always loved very detailed black and white artwork, which has obviously been a big influence. 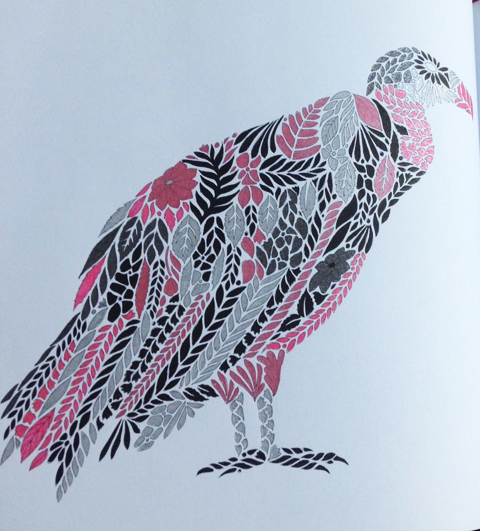 I’m also really drawn to pattern, which again features heavily in my own work. 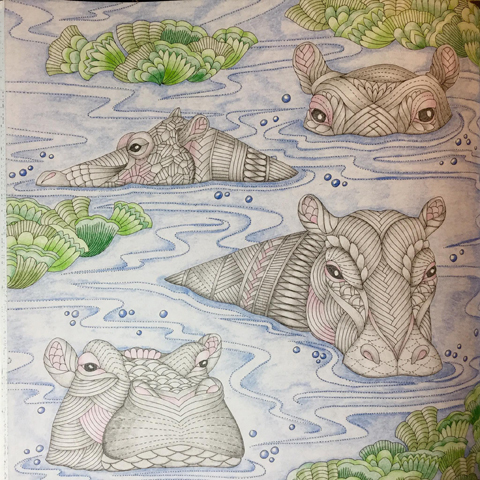 These things combined with my fascination of the natural world and my background in wildlife illustration just seemed to come together beautifully. 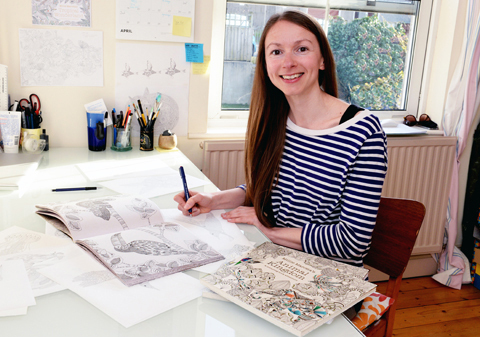 The level of detail and intricacy in my illustrations are qualities that come very naturally to me, so I think much of it is down to my own innate drawing style, in the past I have tried to work quickly and loosely, but try as I might I just can’t do it. In general what other kind of art and design inspires you? All sorts really. While I do love very detailed artwork I’m also really drawn to very simplistic styles as well, which are a million miles from what I create myself. I believe you studied on a very specialist course that has since closed…can you tell us more about what you learnt? I studied Wildlife Illustration and I couldn’t believe my luck the day I discovered that course existed. For my first year, the course was run from a section of a mansion in a country park in rural Wales, it was quite out of the ordinary. 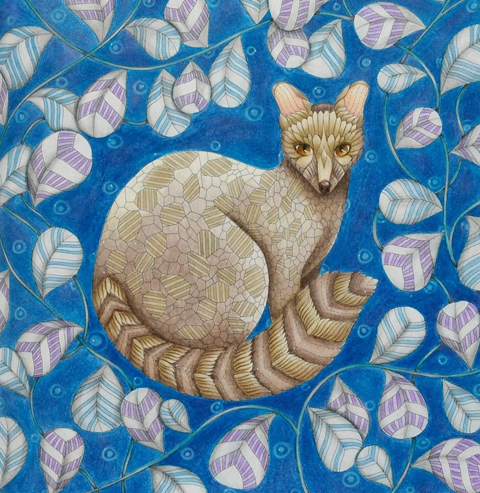 We had the entire country park on our studio doorstep, with wild deer, peacocks, an arboretum, rescued owls and other birds of prey, along with all sorts of other creatures there for us to draw. One of my lecturers even had a pet pole cat, which would often come to work with her and spend the day scampering around the studio while we all got down to work. It was quite an unusual set up. 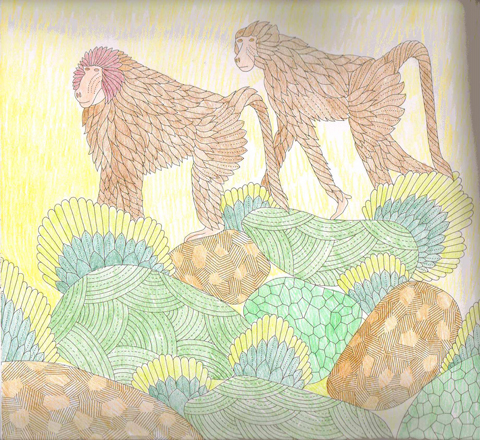 We spent lots of time outside drawing, visiting incredible places to observe and draw the wildlife; for me it was really as much about enjoying nature and appreciating wildlife as it was about studying the technicalities of drawing techniques and illustration as a profession. When you gave up teaching what was the plan? My plan ultimately was to earn a living as a freelance illustrator, which was slightly terrifying but very exciting at the same time as it meant leaving a very secure and relatively well-paid job. But, I just knew that this is what I really wanted to be doing and I had to make it work. The immediate plan was to spend some time building up my portfolio and developing my illustration style, while easing myself into my first small paid commercial commissions. What commercial work initially attracted your publisher? Can you describe it? My publisher first came across my work a good couple of years before I actually worked on the first book, when a designer at the office bought one of my screen prints as a leaving gift for a colleague. My Editor then came across some of my commercial work a while later in the form of a packaging campaign I had worked on for M&S. 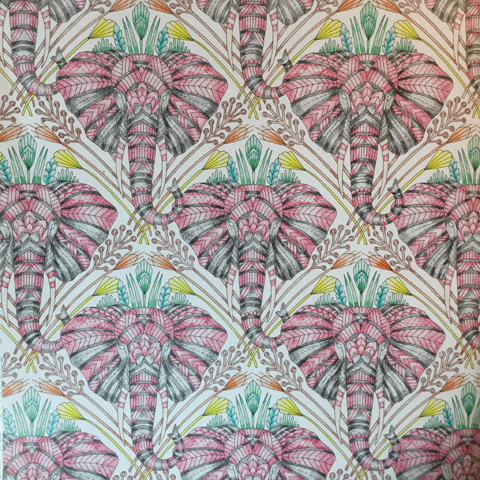 It was very detailed, very fine line work full of pattern, nature based and predominantly black and white, very typical of the style of illustration in my colouring books. What is the best thing about living in West Wales? What can you do that you would not do elsewhere? I feel very lucky to live where I live. I’m not a city person at all and enjoy the remoteness of living out here by the sea in a small community in the UK’s only coastal national park. I have 4 different beaches all within a 5 minute walk from my front door, coastal paths, amazing wildlife and incredible landscapes, all here on my doorstep, I think that’s pretty special. 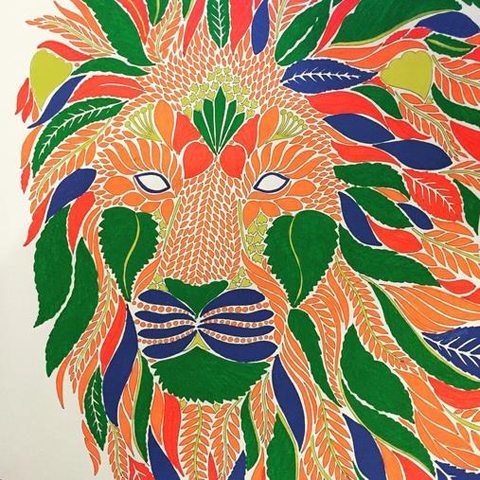 Lucy Fyles – Wild Savannah. 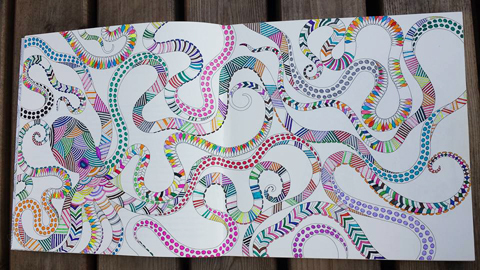 Read her review on Colouring in the Midst of Madness here. Can you describe your studio set up? Where is it, what is your view, what kind of music do you listen to if any, what drinks do you have, when do you break for lunch, what hours do you work? I work from home in a little studio, which overlooks the back garden, so my morning commute is a pretty short one. The walls of the studio are usually covered in sketches, print outs, research and reference material for whatever projects I have on the go. While no two days are the same I do tend to follow a bit of a routine in that I like to get emails out of the way in the morning before I start drawing for the day. I sometimes find the radio can be quite distracting so more often than not I like to listen to podcasts or audio books while I’m drawing as I find them really relaxing. I start each day with coffee, always. But only one, any more gives me the jitters, which is no good for keeping a steady drawing hand. After that it’s peppermint tea all day long. More often than not I’m guilty of quickly stuffing lunch into my face while I sort through more emails, not a healthy way to spend your lunch break and certainly not something I recommend, but sometimes it’s the only way to get everything done. because my work is so detailed bringing a whole book together does mean putting the hours in. It’s not unusual for me to work 12 hour days, 7 days a week. But, I love what I do so it doesn’t really feel like work for me. What kind of size are your original book artworks and what processes do they go through to be book ready? I draw each illustration at the same size as they appear in the book and will begin with a rough sketch of the complete illustration. I say rough but these actually end up being quite detailed pencil sketches by the time I’ve finished, I like to have the image as planned out as possible before I begin the final piece. Some illustrations will come together very quickly while others may take a little more thought and planning, although for most I do have a pretty good idea in my head of how I want it to look like before I begin. Once I’m happy with my rough it’s time to draw up the final artwork. For this I use a very fine steel nibbed pen using my pencil sketch as a guide, this time adding even more detail as I work. Once the inked drawing is complete it’s simply a case of scanning the illustration, ready for sending to my publisher. The only other process that I sometimes go though is to turn an illustration into a repeat pattern, which I will do digitally. 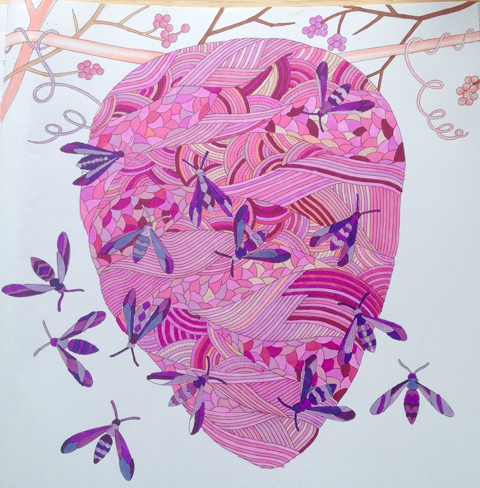 Claire Eadie – Wild Savannah. Read her review on Colour with Claire here. How long on average does to make to complete an individual page, and then to complete a whole book? I like to make sure there is plenty of variety in my books in terms of how long pages might take to colour and how much detail is involved. So the time it takes me to draw a page varies quite a bit depending on the illustration. One page can take anything from 4 or 5 hours to a couple of days. A complete book usually takes around 5 months from start to finish. I’ve seen a lovely bird emerging for book number 4 – can you tell us anything more about this book and what it will feature? I can’t say too much about it just yet, but it will feature lots of amazing animals, obviously, and I hope it will inspire and encourage people to want to explore and find out more about our fascinating natural world. It is due out in September. How much free reign do you have with your books? Does anything go or has your publisher ever rejected anything? My publisher and I will agree what the focus or theme for each book will be, but from there I have free reign, which is such a luxury. I do plan each book out page by page and will supply my publisher with a flat plan before I begin the artwork, so they do usually have a good idea of what will be coming and so far nothing has been rejected. So far, which has been your favourite book to produce and why? Oh gosh, I couldn’t possibly choose. Although, as Animal Kingdom was the very first one I suppose it will always be special for that reason. But, I’ve enjoyed working on all of them all. I enjoy the whole process and am really lucky that I get to spend my days doing something I love so much. It’s a lot of work but it’s very satisfying. 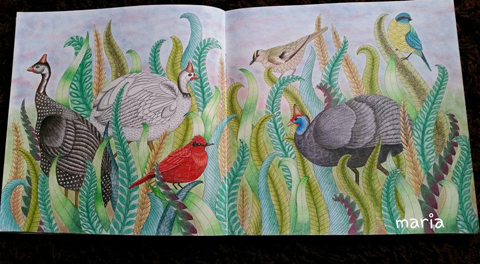 Do you think you will ever make a colouring book that is not nature inspired, and if so what would that contain? Probably not. The natural world is what inspires me, I’m fascinated by it and I think that’s vital for me in creating my best work. Other subjects just don’t ‘float my boat’ in the same way. My first book ‘Animal Kingdom’ was instantly well received, so rather than altering my approach I’ve actually tried to keep it much the same. Some small changes have been made along the way as a result of listening to feedback from users of the books, but on the whole I’m still working in much the same way and using the same process. Ultimately my goal for each book is the same, to create beautiful illustrations that people will enjoy colouring as much as I enjoy drawing them. 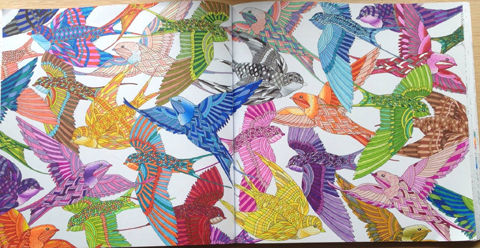 Do you ever read online feedback about books, and where do you go to see coloured versions of your pictures? Yes, I do read a lot of feedback, I think it’s important to listen to what fans have to say about the books. I love hearing from all the different types of people from all walks of life who are enjoying the books. Fans are sharing their coloured images on Facebook and Instagram on a level that I never really anticipated at the time of putting the first book together. I really wasn’t expecting to have so much insight into how users of the books would be colouring and working with the illustrations, it’s been fascinating to see just how differently every reader approaches the same image. 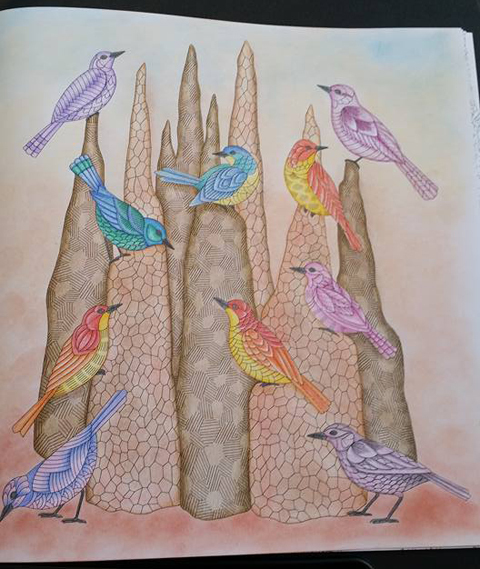 Do you ever colour your own pages and if so what kind of media and colours do you choose? To be honest I don’t really colour my own pages very often. I love creating the black and white illustrations for the books and feel the colouring is for the reader. However, from time to time I do colour sample pages from the books to use as examples at events or for media, or to try out different materials as I’m often asked what pens or pencils I recommend. Personally I’ll always choose pencils, as I love how versatile they are. 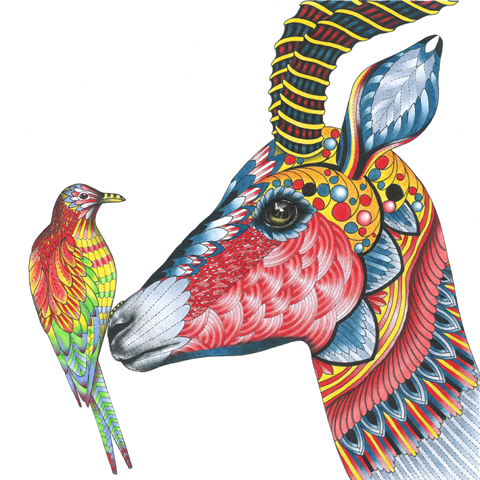 How did you get involved with the Born Free Foundation and can you tell us more about your recent collaboration? Getting involved with the Born Free Foundation is a bit of a dream come true for me. I’ve always felt tremendous compassion for animals so I’m thrilled to be in a position where I can use my illustration work to help further such a worthy cause in protecting wildlife around the world. 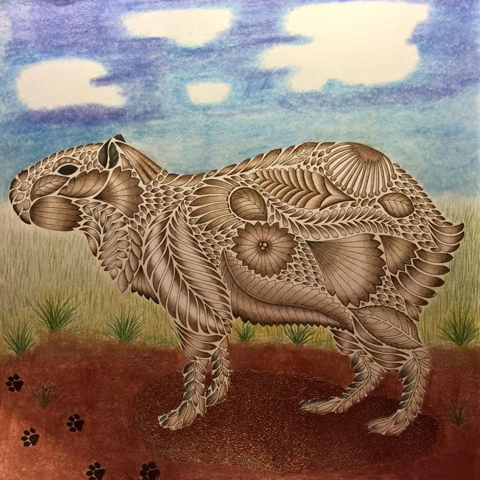 With Savannah grasslands at the heart of my most recent book it seemed fitting to use its release as a platform to raise awareness of these habitats and the beautiful animals that occupy them. 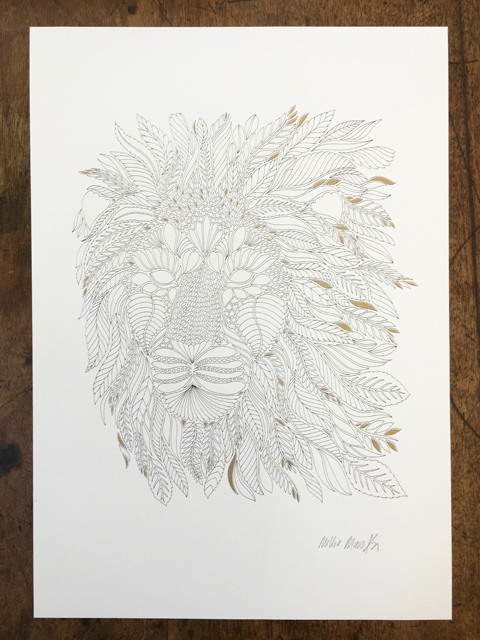 With that in mind, for our recent collaboration my publisher and I released a signed limited edition print of the lion illustration from Wild Savannah, with all proceeds going to the Born Free foundation as part of its 50th anniversary Year of the Lion campaign. 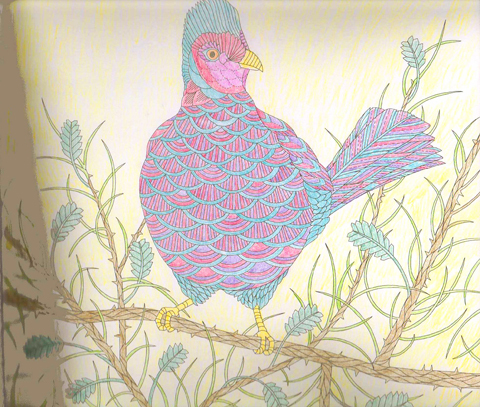 Besides more colouring books, what other projects are on the horizon? Right now I’m beavering away on book 4, which is keeping me very busy. Beyond that I have a range of Tableware launching later on this year, which has been another new and very exciting experience for me. I’m also really looking forward to opportunities working with the Born Free Foundation later in the year and helping them to continue their incredible work. There are a few other projects in the pipeline but I can’t really say too much about those at this stage. I think all of that should keep me busy and out of trouble for a while. Finally, from a fan, will you be drawing any koalas and otters anytime soon? 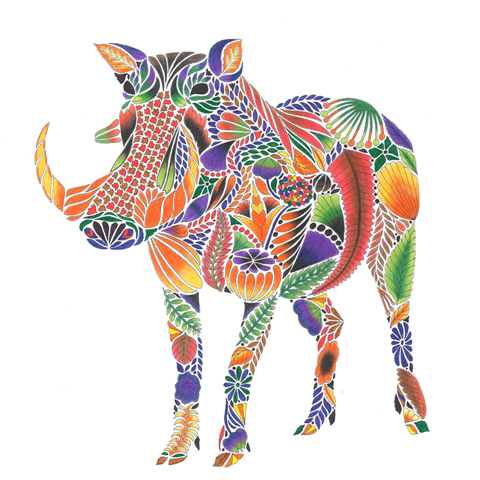 Here are the links for best UK deals on her other books: Millie Marotta’s Animal Kingdom – A Colouring Book Adventure and Millie Marotta’s Tropical Wonderland: A Colouring Book Adventure . 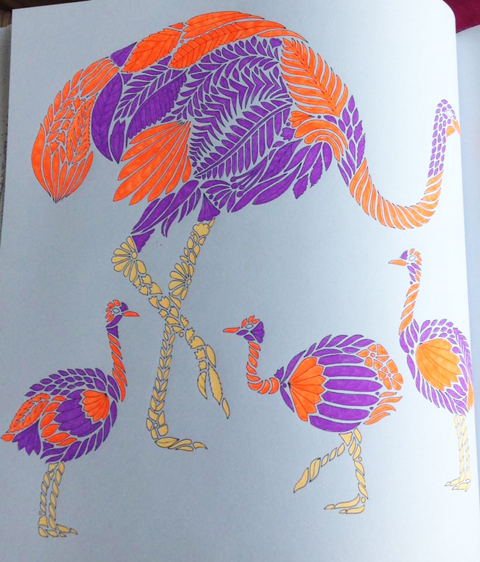 Happy colouring, don’t forget to share your finished pages on social media!